We are slowly seeing the demise of the often tatty, and rarely accurate, visitor book. As residential estates adopt increasingly sophisticated security measures on the perimeter and within the bounds of the estate, there is a definite need to relegate this dinosaur to the dustbin and institute reliable visitor management and access control technology. In addition to a number of benefits that derive from adopting South African Driver’s Licence (SADL) scanning technology, the introduction of the PoPIA (Protection of Personal Information Act) provides a legislative reason for eliminating paper-based log books. “The draft regulations of the PoPIA were published in September last year and once the final draft has been promulgated into law, organisations and entities (such as residential estates) will have a 12-month grace period in which they need to become PoPIA compliant,” says Shaun van Tonder of EXID. EXID’s eSkan 2D barcode scanner captures the data stored in the SADL in a fast and efficient manner. The SADL PDF417 2D barcode contains the driver’s name, South African identity number, gender, birth date, vehicle category and any restrictions, together with the photograph of the driver. The only items of data omitted are the driver’s signature and their fingerprint. Since the data contained in the SADL 2D barcode is captured by the Department of Home Affairs (DoH) it is considered to be valid and verifiable. By a simple process of deduction, one can then assume that any data that is captured by a reputable SADL 2D barcode reader from the SADL barcode is both valid and verifiable. “The implication here is that estates can now immediately verify if the person entering their premises is in fact the person indicated on the SADL. The elimination of deception at this early stage has obvious safety and security benefits for the estate and its residents,” says Van Tonder. The identification of fraudulent operators should be reason enough to employ 2D scanning technology. However, there are other knock-on benefits that make its adoption a no-brainer. By reducing the time period between the visitor arriving at the estate gate and their entry into the estate, bottlenecks can be avoided, thereby reducing frustration for residents and other visitors. Real-time data capture and storage, together with customised reporting means that estate management is aware of exactly who is on the estate at any time. This allows end users to determine trends in terms of traffic flow to specific areas as well as to identify busy time periods. As a result, measures can be implemented to further decrease bottlenecking. There is also a safety aspect to accurately determining who is on site as, in the event of a disaster, it will be possible to account for all visitors in an expeditious manner. Van Tonder explains that the eSkan links the vehicle to the driver at the outset. So, should a driver try to exit the property in an unlinked (possibly stolen) vehicle, an alarm will automatically be activated. Depending on the security protocols at the estate, the guard is often trained to halt the suspicious vehicle/driver and further action can then be taken. The eSkan is also an ideal tool for contractor management. The system forces all contractors to provide a valid identification for entry into the premises. It also allows end users to blacklist people and vehicles, further enhancing the scope of the integrated criminal databases. Van Tonder cautions anyone wanting to convert from the paper-based logbook to an electronic SADL 2D scanner to select a brand that is proven in the field. 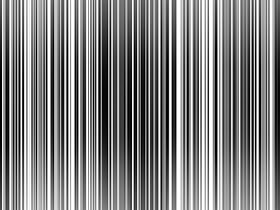 Barcode scanners should be both robust and cost-effective and offer superior reporting features.